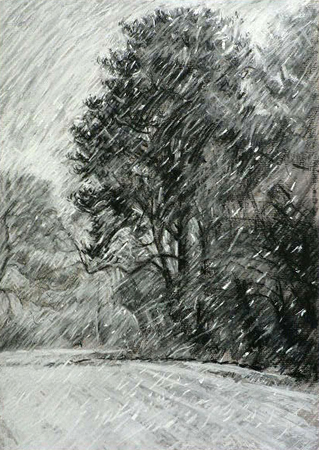 Paul Blackwell: The Blizzard. Conte drawing. New work For Coast Gallery.